There is a frightening undercurrent sweeping through our country. I was in class this evening (for my MBA), when a student proceeded to give a presentation declaring that CEO compensation should be limited by the government. In Business School I heard this. And the other students agreed. In fact, most of the other students agreed. Now, I can understand this opinion being thrown around in a union hall. Or at the University of Vermont. Or Cuba. But this was Business School! At an MBA program located in the insurance capital of the world (that’s Hartford, for you non-Hartfordites). The insurance industry – a business who’s very existence is predicated on the fact that they believe they are selling you something that you will never, ever use. These are the people that had an ethical issue with CEO compensation. This isn’t the first time something like this has happened; this past summer, students in my Business Law class argued vehemently that the state should pass a law requiring businesses to offer paid maternity leave for everyone. They also pushed hard for an increase in the minimum wage. These people (my fellow students) want the government to set the minimum wage. They want the government to set the maximum wage. The government should then dictate your benefits, health plan, and vacation time. Uncle Sam should regulate which markets you play in (can’t have a Monopoly) and the goods you can sell. And finally, when your business has utterly and completely failed under this crushing yoke of regulation, the government should buy a controlling stake in your company with taxpayer money. It is no wonder that these students are all so enthused to finish the MBA program and go off to run a business: they are abdicating all of their decisions to the government. 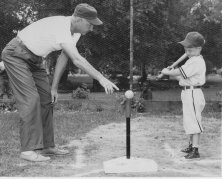 Running a business in this new economy is like being the designated hitter at a T-Ball game. You can’t fail and you can’t be blamed for anything because somebody else set up all the equipment. It’s nothing but upside. What shocks me the most is that I’m encountering these opinions in Business School. I truly thought that this would be one of the last great bastions of capitalism. If not here, then where? If this is the overwhelmingly popular opinion of our future business leaders, what must the rest of the country be thinking? This is beyond the pale, folks. Last train to crazy town stuff. This is Ayn Rand off the page and into our headlines. It’s not supposed to happen like this. There’s been a lot of talk out there of how the financial crisis is affecting both Wall Street and Main Street, but it’s sad to see that our economic implosion is now even hurting those on South Street. Cry now for the beleaguered strippers. We watched (and very much enjoyed) The Bank Job last night. If you enjoy movies starring Jason Statham that involve a down-on-his-luck British guy engaged in rapid-fire fighting, Queen’s English cursing, and double-crossing, you should check it out. Or, you know, any other movie that Jason Statham has ever been in ever. moral ethics, but I had to reach you through this medium. in Tunis – Tunisia. I have been diagnosed with esophageal cancer. about a few months to live, according to medical experts. business as that was the only thing I cared for. immediate and extended family members as well as a few close friends. The question I ask myself is this: If you sat a million phishers at a million typewrites for a million years, how many times would my mother forward me their e-mails? If you can make it through your entire life without ever hearing the words, “I’ll call you tomorrow after I finish working up an estimate…” from your Veterinarian, you will be better off than I these days. A friend of a friend of mine writes a blog about interesting museums in Connecticut, and has recently been written up in the Hartford Advocate. 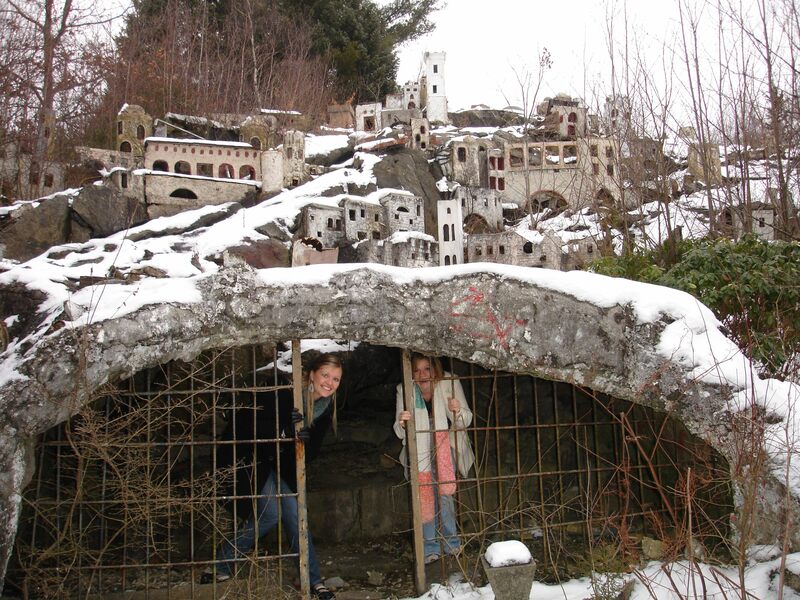 I encourage you to check it out, as this website has in the past led me to the one of the greatest finds of my adult life: the abandoned Holy Land Theme Park. Marshmallows, people. Marshmallows. Am I missing something? Even if I am, there are plenty of other mock-able statements in the interview. I’m thinking we should run her for VP. It appears as if sweet little Tully (all 9.8 pounds of her) is actually closer to 5 than to 3; it’s a bit hard to tell, though, as Vets usually deduce this from the state of a dog’s teeth, and most of Tully’s are going to have to be removed due to decay. My seething anger with the Amish is growing greater every day. I’ve added these little iTunes feeds to the right of my blog. I enjoy the “favorite artists” functionality, though I’m not quite sure how iTunes makes this determination. I was looking for more of a “favorite artist this second” kind of thing, but oh well. My music tastes are mercurial at best, complete and utter musical ADD at worst. I’m not quite sure there’s a software algorithm that could effectively capture that.